When it comes to living a life full of your favorite activities, don’t let foot pain stand in your way. Pain, tingling, and numbness are common foot problems that can take the joy out of the things you love to do. If you’re not getting the right support or if an injury knocked you off your feet, you could face serious chronic or permanent foot problems. You don’t have to limit your enjoyment in the things you once loved. When foot and ankle pain threatens to steal your independence, it’s might be time for a trip to an Ohio podiatrist. You don’t have to learn to live with the pain. There are better ways to treat the issue that’s causing you so much grief, and better ways to get your life back to normal again. At Family Foot & Ankle Center, our podiatrists are skilled in identifying and treating a wide range of foot problems. Using innovative techniques, we give you a personalized treatment plan to help you toward a full and fast recovery. Foot and Ankle Surgery: Foot ailments ranging from bone spurs and hammertoes to serious lacerations and injuries will not heal independently. 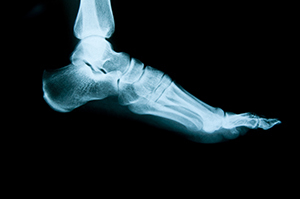 If your foot problems or injuries are severe enough to require surgery, our team can help. Our surgeons have undergone extensive surgical training. Using the most advanced techniques, we will help you get back on your feet fast after a foot surgery in Ohio or Kentucky. Diabetic Foot Care: Diabetes wreaks havoc on a person’s body. Often, the feet are among the most affected parts of the body. 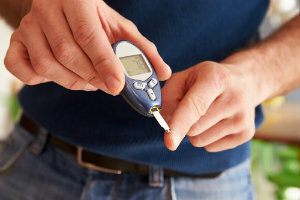 Our team of podiatrists understands the unique problems that can afflict diabetic feet. With our help, you can minimize the risk of sores, ulcers, infections, and in the worst-case scenario, amputation. Children’s Foot Care. Children’s feet develop quickly. If your child’s feet get injured on the playground or if they are not quite developing the way they should, our team can get their growth back on track. Our goal: happy, healthy feet that support your children through adulthood. Foot, Skin, or Nail Problems. Exposed toes, fungus, and bacteria can cause a host of problems in your feet. Treating common problems in the skin and nails is important so you can have healthy feet that not only feel great, but look great too. Sports Medicine: Athletes give their feet a good beating every time they step out on the court, track, or field. Over time, this can cause serious injury. With help from a podiatrist, you can continue to enjoy your favorite sports for years to come without enduring the additional pain of a foot or ankle problem. Orthotics: Gone are the days when wearing orthotics meant wearing fat, ugly, clunky shoes. Today’s orthotics give your feet the support they need without embarrassment. By wearing orthotics you can avoid common foot problems such as bone spurs, hammertoes, and more. Give your feet a break and start loving your favorite activities again! Call one of our six offices to schedule your appointment with an Ohio or Kentucky podiatrist today. Enduring traumas and fractures to your feet can quickly hamper your ability to operate on a normal level through every day life. Simple tasks like that of walking and getting out of bed instantly become painful tasks when encountering a broken toe or bone in the foot. Your skin and nails are the most important line of defense when it comes to properly protecting your feet from ailments, infections, and potential injuries down the road. Your feet can be afflicted by a large multitude of common deformities and injuries including the likes of bunions, heel pain, arthritis, and toe pain. Thankfully, there are plenty of treatment and relief options available to ensure that a simple task like walking is as pain-free. Plantar fasciitis, tendonitis, heel spurs—there are many causes of heel pain. Discover what the root of your heel pain is and the treatments measures we have in place to bring you proper relief. Proper diabetic foot care is crucial in warding off serious complications from this chronic disease. Discover how to properly care for your diabetic feet to prevent future ailments and complications from occurring with your feet.